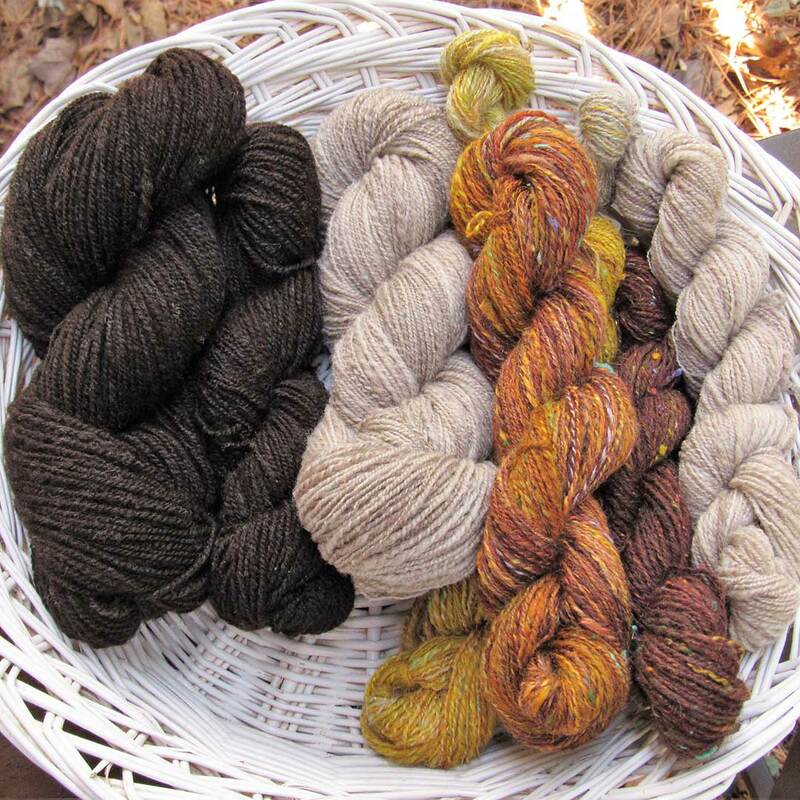 I’ve been holed up at home for the past couple of weeks spinning yarn and knitting with my handspun. 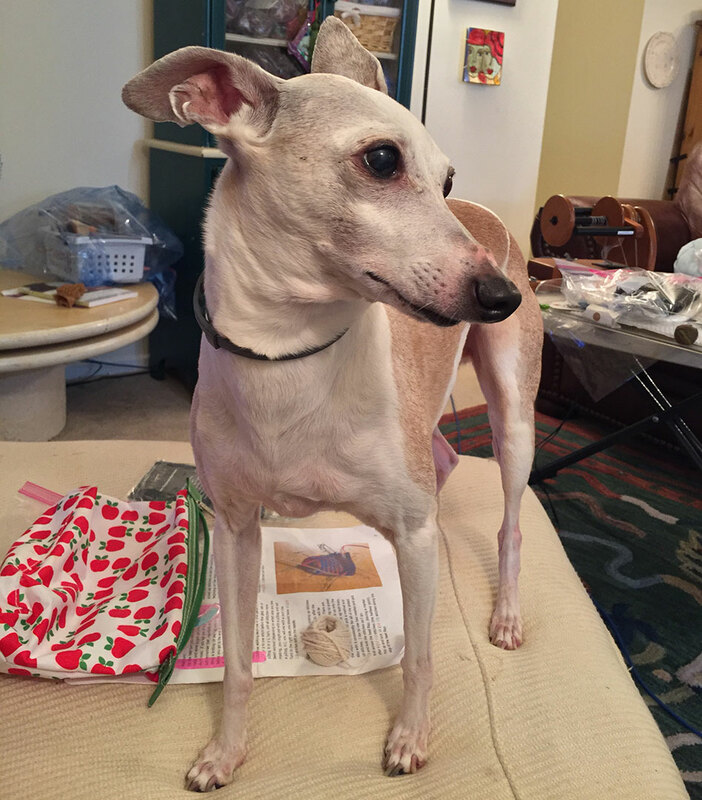 While I’ve managed to produce a tremendous amount of yarn, including an entire hap’s worth, something—or rather, someone—is conspicuously absent from my routine: Iggy, my 16-year-old Italian Greyhound, constant companion, and very best buddy. 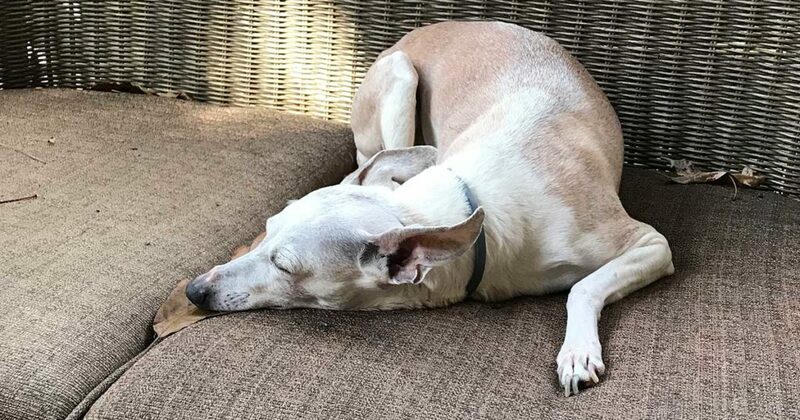 He died peacefully, surrounded by 3 generations of his loving family, on January 25, 2019. Debbie soothed her herself by spinning yarn—an entire hap’s worth of yarn. Rather than allow my grief to spiral out of control, I turned to my wheels and wool (affiliate link) for comfort. Yes, I have cried, too, but my spinning habit grounds me. Through this solitary time spent in contemplation with wool running through my fingertips, I have realized that, although my heart might be cracked, the ache of loss has not left it broken. What I feel most of all is gratitude. I am grateful for having had the love and company of Iggy, the pet of a lifetime; for the work I am fortunate to do; for the tools and supplies surrounding me; for the human connections I have built through a shared love of spinning yarn; and for a job well done by a dog who chose to stay by my side until he knew that I could remain standing on my own. Despite being surrounded by fiber, spinning equipment, and work projects, Iggy had quite a large presence. Soon, I will be moving from my home where I first learned to spin. I look forward to having a spinner’s flock of sheep in the backyard to keep me inspired, but little Iggy will remain in my heart, always. Cheers to our four-legged spinning pals, to the sense of continuity they bring to our lives, and, of course, to the healing power of handspinning. If you have a photo you’d like to share of your own spinning (or crafting) buddy, I’d love to see it. Feel free to post in the “Who’s your spinning buddy?” thread in the Spin-Off Knitters & Spinners group on Ravelry. I would love to see who keeps you company while you’re at your wheel and spindles. The art and craft of spinning yarn.